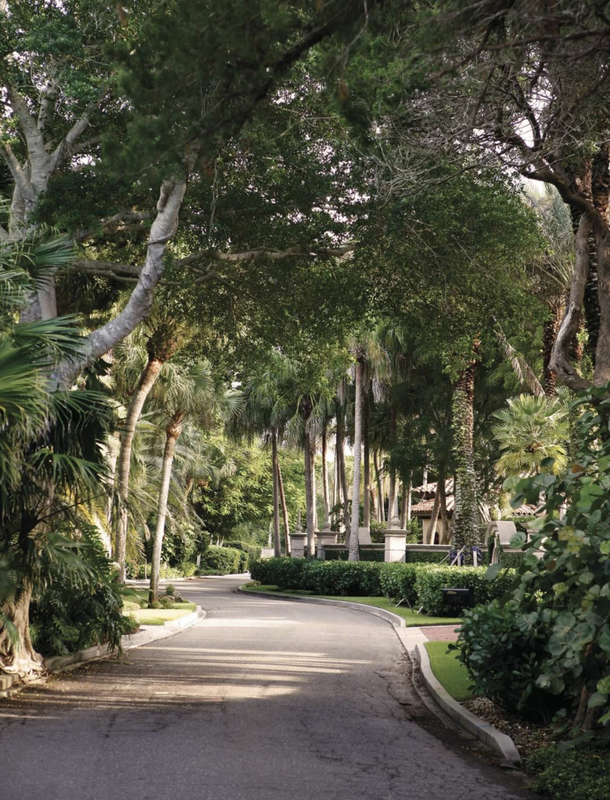 To visit Casey Key—the Edenic nine-mile-long residential enclave between the Gulf of Mexico and Blackburn Bay—you pass over a historic, 1920s-era swing bridge that separates the island from mainland Osprey. And visit it you must, to gawk at the multimillion-dollar Gulf-to-bay residences tucked behind sea grape and bougainvillea hedges; to catch glimpses of the Gulf, which at some places comes right up to the edge of Casey Key Road; and to linger at the beautifully restored public Nokomis Beach Pavilion, with its sleek 1950s modern architecture, near the Albee Road bridge at the island’s southern end. Deborah Beacham, a broker with Michael Saunders & Company, has lived on the exclusive barrier island since 1993. “We fell in love with the quiet, the vegetation, and the fact that it was protected from commercial development,” she says. Its central location between the many attractions of Sarasota and Venice also attract people who choose to live here.